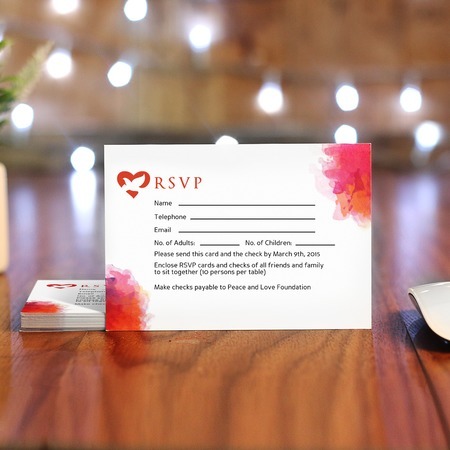 Make it convenient for your guests to respond to your invitations by including RSVP cards with them! These cards can come in writable card stocks with thicknesses ranging from 14 to 17 pt. These response cards are printed in impressive full color, and can also be ordered with matching size blank envelopes. Give your guests the convenience as well as the great impression of your RSVP cards' print quality while staying organized and keeping to your budget!